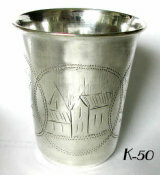 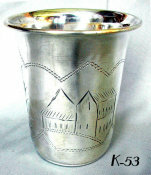 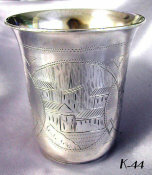 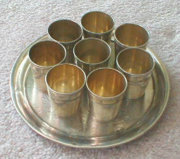 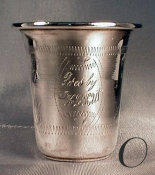 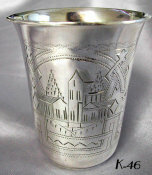 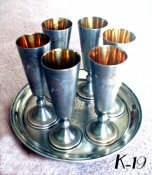 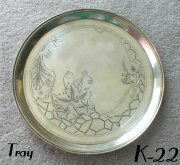 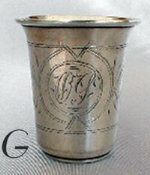 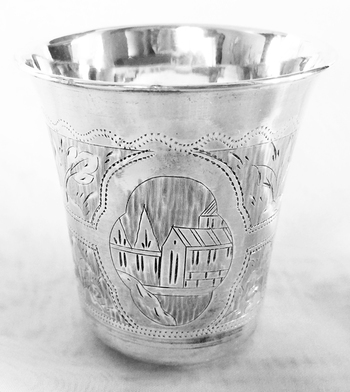 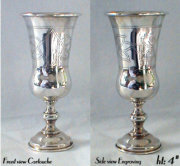 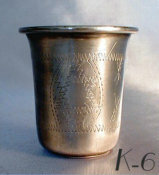 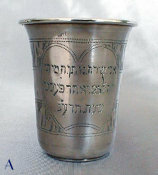 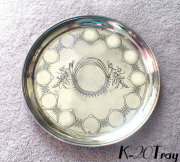 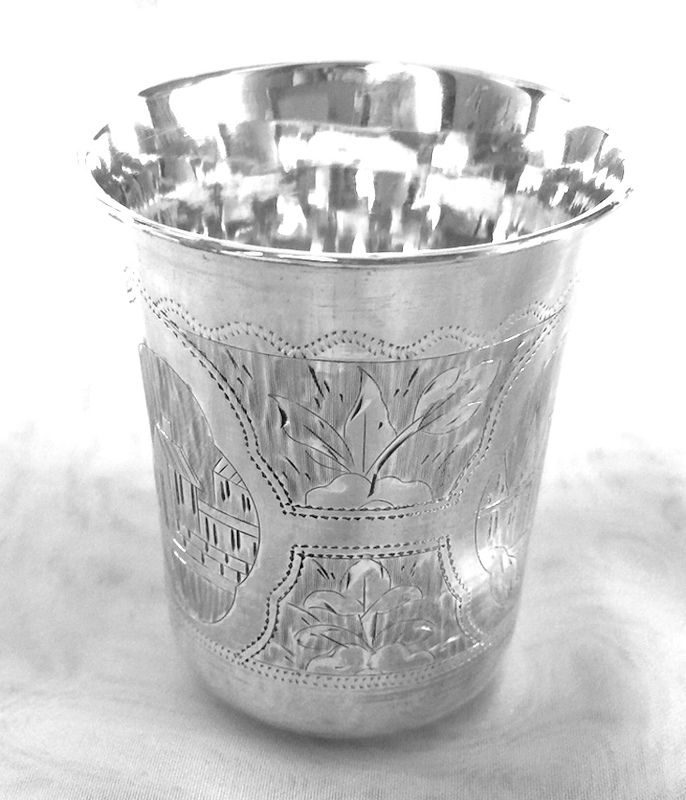 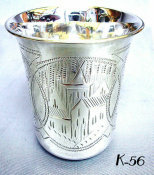 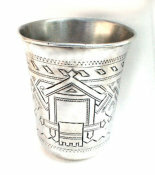 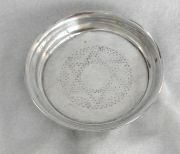 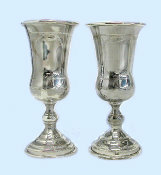 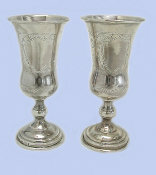 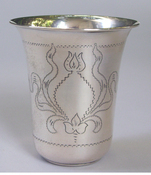 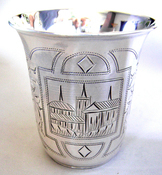 Beautiful antique Russian Silver Kiddush Cup with abundant decoration. Architectural scenes alternating with lavish leafy and floral bright cut engraving, set in decorative framework. 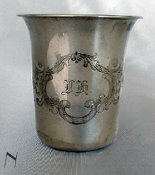 Fully marked and dated.